Much has been made of the Institute of Fiscal Studies’ calculation that Labour’s plans for the future would mean that they would have to borrow £170 billion more than the Conservatives over the next three Parliaments if they get into power and carry out the plan they have said they will. Leaving aside the absurdity of suggesting what might happen until 2030, the report ignored a fundamental aspect of Labour’s plans, which is what they plan to do with the borrowing. 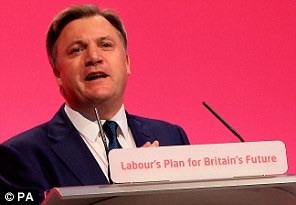 There hasn’t been a moment in the last five years when Ed Balls, the Shadow Chancellor, has departed from his script that a key to eliminating the deficit is to achieve higher economic growth. Higher economic growth first of all reduces any deficit and national debt as a proportion of GDP (the measurement of national income), and that is the most important measure of any debt for the financial markets. But actually, there is a more important point to be made here, and I hope it is made much more assertively by Balls over the next few months (and Miliband, should he remember to talk about the economy). It is that the type of economic growth is important, and also how that economic growth is distributed. At the moment we are enjoying growth that is financed by quantitative easing and household debt, and what’s more, it is growth that isn’t finding its way to those on the lowest of incomes. Labour argue that economic growth that is financed by long-term investments such as building houses and other infrastructure as well as ensuring that the benefits of growth are felt by everyone, particularly those on lower incomes, would be more in the interests of the UK. They are right, and should start to make this case. Well placed investments that result in improvements in both ACTUAL economic growth (simply raising GDP) and POTENTIAL economic growth improve what is known as the “trend rate of growth” of the economy, essentially increasing our productive capacity for the future. Balls calculated that an increase in trend growth of just 0.25% would result in an extra £19bn in tax revenue by the end of the next Parliament. Tax revenue is the key here. The current growth has been achieved on the back of a fall in tax revenue, because many of the jobs created don’t qualify for income tax as they are on such low pay. If economic growth were shared more equally, it would raise income tax revenue, which helps close the deficit. There would be other benefits too. If pay is increased for those on lower incomes, they are more likely to spend it, so that would also increase revenue from indirect taxes such as VAT. Furthermore, a ‘multiplier effect’ could take place, where one person’s spending can fund another person’s job, who spends their income, and so on and so on. My main point is this: George Osborne wants to bring Labour onto economic territory as he thinks he has a major advantage there. They keep arguing that a vote for Labour would be a vote for economic chaos. I believe Ed Balls could justifiably produce an argument that takes on Osborne on this turf, and win. He has four months to do so.